Arrrgh! 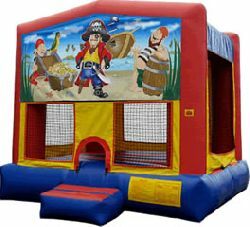 Jump aboard the Pirate bounce house for your next event. Try your skill at walking the plank in a moving and shaking bounce house.